As an Equus Coach, I invite clients on “A Journey Within” – a guided expedition to rediscover and reconnect with their inner wisdom. I offer my clients permission to take a break from the external world and all the associated stories. 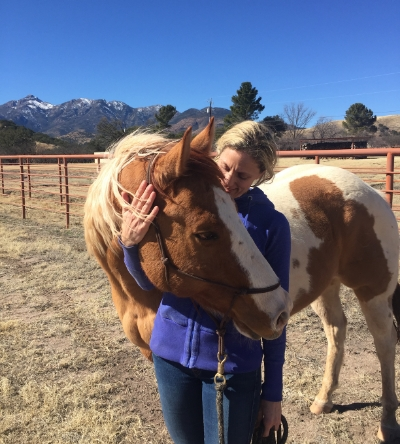 The horses and I provide support as clients rediscover themselves, heal wounds, and begin living their most authentic life. I have a M.B.A in marketing from the University of Portland and played basketball at Santa Clara University. Professionally, I have spent the past 15+ years in a productive career in public relations and marketing. However, the greatest gifts I can offer my clients come from life lessons and my desire to live from my heart instead of my head. I am at my best when inspiring others to embrace change, to relish in self-care and self-love, and to seek health and wellness.